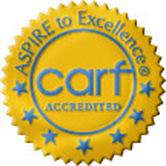 Key Development Center, Inc. is a 501(c)3 nonprofit, CARF accredited, licensed substance abuse prevention and treatment provider with over 17 years' experience in the Livingston County area. Those individuals who are identified as having a substance abuse disorder or a substance abuse disorder and a co-occurring mental health disorder shall be welcomed at every KDC operated and contracted program. Key Development Center, Inc. (KDC) holds respect for the worth, dignity, and capability of every human being as its primary value. Therefore, KDC shall not discriminate against anyone on the basis of race, color, language, religion, age, gender, sexual orientation, marital status, physical or mental ability, economic condition, or national ancestry. Opening doors to recovery, health and well-being. Committed to excellence in all that we do. Care that is compassionate and inspires hope. Empowering staff with the skills and tools to get the job done. Key Development Center depends upon the trust of its constituents to fulfill its mission. Clients have a right to expect that, in fulfilling its mission, Key Development Center and its employees and officers will perform their duties honestly, efficiently, and economically. Recipients of substance abuse services have rights protected by the state and federal laws and promulgated rules. For information, contact Anne King-Hudson at (810) 220-8192, or Recipient Rights Coordinator, Michigan Department of Community Health, Mental Health and Substance Abuse Services, Bureau of Substances Abuse, 320 South Walnut St., 5th Floor, Lansing, MI 48913.